Earlier this month the Energy Commissioner of the European Union (EU), Mr. Günther Oettinger, emphasized the importance of Icelandic geothermal experience and know-how for EU’s energy policy. In his closing speech at the Iceland Geothermal Conference 2013 in Reykjavik, Mr. Oettinger backed binding targets for renewable energy for 2030, noting that geothermal energy can “help us reach our energy and climate goals, and that we can expect the utilization of geothermal energy to become more and more prominent”. In European context, geothermal is currently just slightly over 0.1% of the total electricity generation. Around 1% of the renewable power generation within the EU comes from geothermal and geothermal accounts for approxemately 3% of EU’s renewable heat production. Mr. Oettinger pointed out that the EU can learn a lot from Iceland regarding utilization of geothermal energy. Iceland alone generates almost as much electricity from geothermal sources as the rest of the EU put together. While all the 27 member states of the EU produce close to 6 TWh of electricity from geothermal sources annually, the figure in Iceland is 4,7 TWh. Another comparison Mr. Oettinger mentioned in his speech, is that Iceland produces more than ten times as much geothermal heating as Germany. With this said, Mr. Oettinger expressed that it is “no surprise that the United Nations decided in 1978 to base its University Geothermal Training Programme in Iceland”. He went on stressing that Iceland has shown that by getting the energy policy and prices right, the jobs and businesses will follow. 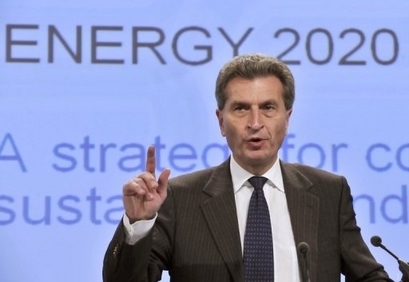 This is a very interesting suggestion of a possible goal by Mr. Oettinger. 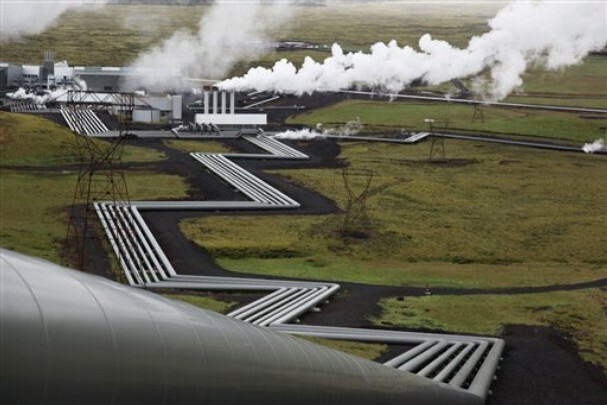 Not only would this call for a massive investment in the geothermal sector, but at the same time offer great possibilities for Icelandic businesses, with their extensive knowledge of geothermal utilization. 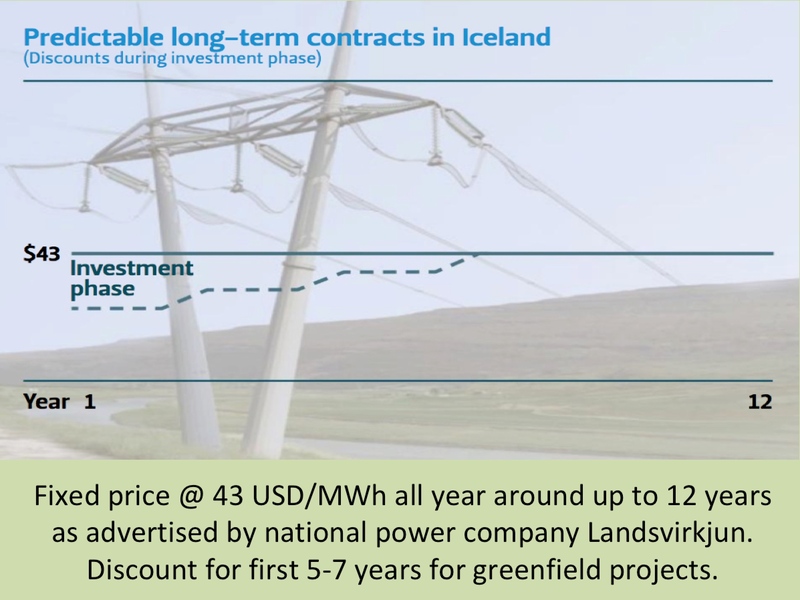 In this respect it is worth mentioning the Icelandic engineering firms are already is working on several geothermal projects on the European continent and elsewhere in the world. Possibly, geothermal utilization for heating and cooling (by geothermal heat pumps) could be the best option for the EU in growing its use of geothermal energy. Thus, it is not surprising that in his speech Mr. Oettinger especially mentioned that although the EU does have “nowhere near the geothermal resources that Iceland has, there is plenty of potential in Europe, in particular for heating”. This may for example apply to countries like Germany, Hungary, Romania and Slovenia, just to name a few of EU’s member states. From Mr. Oettinger’s speech at the Iceland Geothermal Conference, it seems clear that we may expect more cooperation in the field of geothermal energy between the EU and Iceland. Mr. Oettinger expressed EU’s interest in increasing financial support for more geothermal research. In this regard he mentioned the European GEOFAR project (Geothermal Finance and Awareness in European Regions), and stressed his aim to get bankers and investors more interested, as well as conventional extractive industries, including oil and gas. Next Iceland Geothermal Conference will be taking place in April 2016.